Upper respiratory infections sometimes referred to as the common cold affect the sinuses, nose, or nasal passages as well as the larynx (which is the voice box), or the pharynx (the throat). Symptoms typically include a sore throat and coughing, runny nose, fatigue and lack of energy. These infections can turn into sinus infections or sinusitis. Someone who thinks they have an upper respiratory infection should see a doctor and get a proper diagnosis so that the illness does not worsen or spread. Infections such as this can even lead to dehydration and hospitalization. Symptoms of upper respiratory infections can sometimes resemble those of more serious illnesses like bronchitis, asthma, or HIV. A medical professional can asses a patient’s symptoms and then determine if any testing should be done to diagnose an upper respiratory infection. The doctor may also look into the nasal passages for irritation and swab the throat and nasal passages for testing. This can uncover other conditions such as a bacterial infection or strep throat. Should a doctor not perform the correct diagnostic procedures it is possible that the wrong diagnosis will be made or the diagnosis of an infection will be missed completely. 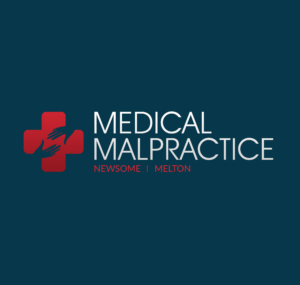 If this is the case, there may be a viable claim for medical malpractice or negligence. An upper respiratory infection can sometimes be misdiagnosed or a diagnosis of this condition can be made in lieu of the correct illness. Conditions like sinusitis and whooping cough have the potential to become serious and can be initially misdiagnosed as an upper respiratory infection. Whooping cough is contagious and can cause death and it is therefore imperative to diagnose early. The correct course of treatment or a lack of treatment can result from misdiagnosis and cause further medical conditions or worsening of existing conditions.